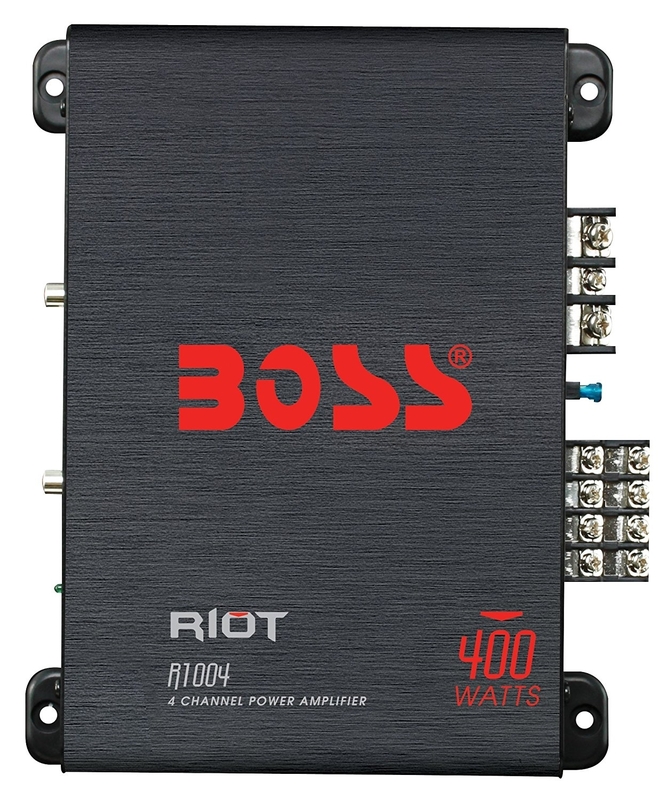 When installing all Boss Audio Systems amplifiers, it is important to use the maximum gauge of wire that the power terminals will accommodate. For instance, if an amplifier has 4 gauge power and ground terminals, use high quality 4 gauge multi-strand copper wire to make your power connections. This maximizes the amplifier’s ability to draw the required power upon demand. This also helps prevent overheating that could cause failure. Always make sure your vehicle’s electrical system is capable of handling the current demands from any after-market accessory. 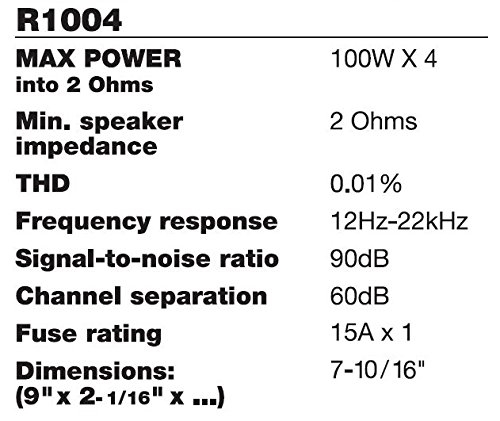 Please refer to the amplifier’s owner’s manual for correct wire gauge sizes. Please be advised that 'Professional' installation of all of our products is recommended and encouraged. Installation by a professional installer increases the length of any applicable warranty on most Boss Audio Systems products. The warranty is void, however, on product that is damaged during installation by a non-professional installer. Professional installation should also ensure trouble-free usage for years to come. The R1002 has two different ways that you can get a signal into it. A Low level input and a High level input. A low level input is measured in voltages. 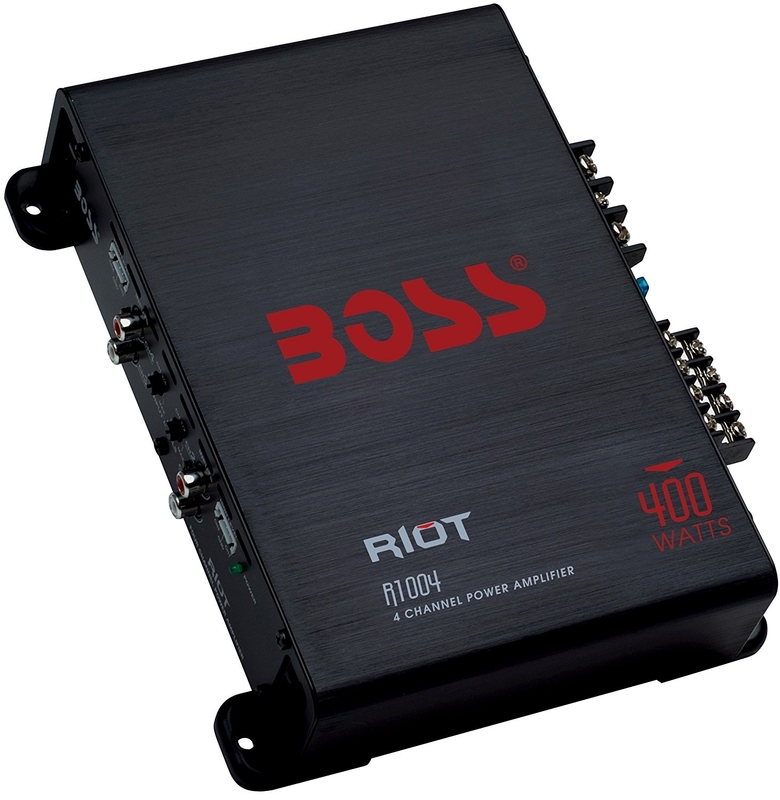 It comes in the form of RCA outputs from the back of your receiver and goes to the RCA inputs on your amplifier. A high level input is measured in watts. It comes in the form one positive and one negative wire from the back of your receiver to and goes to the input terminal of your amplifier in the same wire form. Low-level (RCA) input wiring is preferred for best audio performance. Always use a high-quality RCA cable for best audio performance. Note: Do not connect both the high level and low level inputs from your receiver to your amplifier at the same time! The 'Gain' or 'Input Sensitivity' selectors on an amplifier are not to be mistaken for a volume setting. This setting allows users to match the gain from the source unit. To set these selectors properly, you must 'defeat' any processing on your source unit. In other words, make sure Bass, Treble, and Subwoofer levels are set to '0' on your source unit before adjusting the gain or input sensitivity selector on your amplifier.